À 12 heures 49 mn ORDER, LIVRAISON AUJOURD'HUI. The CRAZY SKATES Venus Plate is a professional plate crafted from a lightweight extruded and tempered Aircraft Aluminium, completely CNC machined to create the defining lines that make this plate stand out from the crowd! 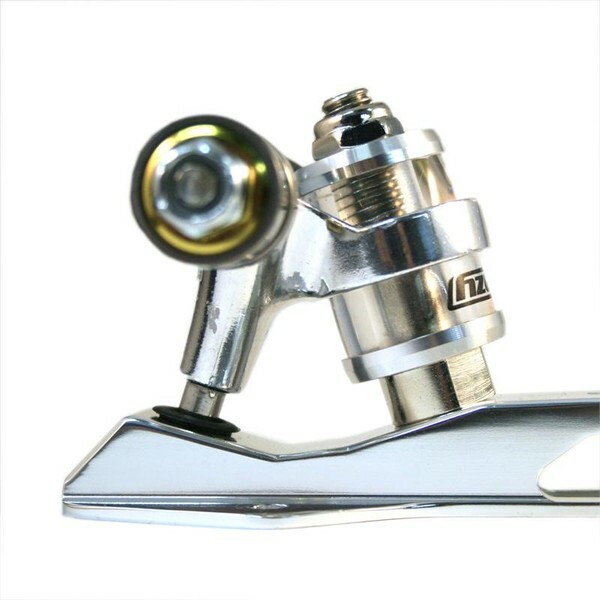 The Venus Plate features a very articulate 20 degree action, allen screw adjustable toe stop, delrin pivot cup inserts and aluminium trucks with hardened steel pivot pins. The unique seating design of our cushions enables the kingpin to be totally encapsulated by PU making the Venus a plate that is Responsive and not Reactive! To get more control, the plate comes also with the Power Wedge. 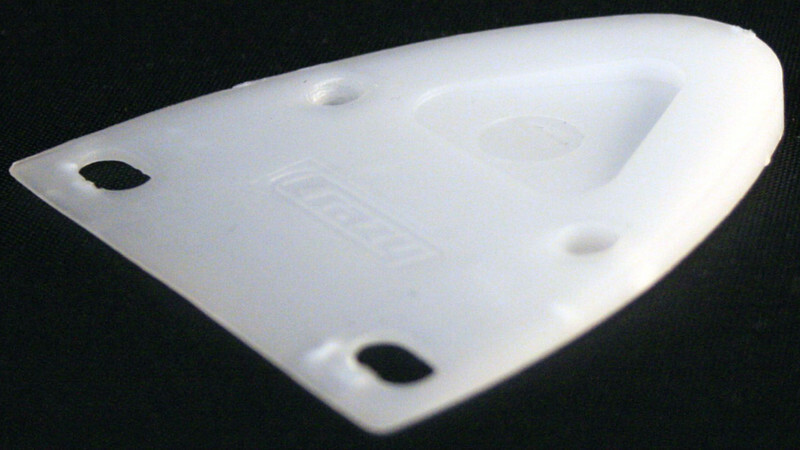 THis is a little pice of plastic which eliminates the gap between boot and plate. 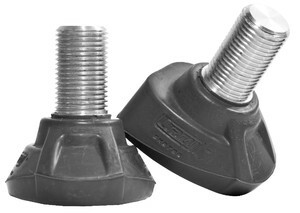 The Arrow Toe Stop which is included is 2 stops in 1. You have the possibility to turn the large area to the front if you like it stable and secure, or turn the small side to the front if you want to be agile on your toe stops. RDH Comment: If your standard plate with 10 degree trucks and soft cushions isn´t agile enough but you do not want to loose the skating stability like you do with a extreme agile plate with 45 degree trucks, you should choose the Venus Plate. The Venus Plate has the perfect combination of stability and agility. Also rollhockey players like the plate because of its sturdy construction.